This gorgeous set of delicately crafted paper decorations will look amazing strung in a window at any time of year. 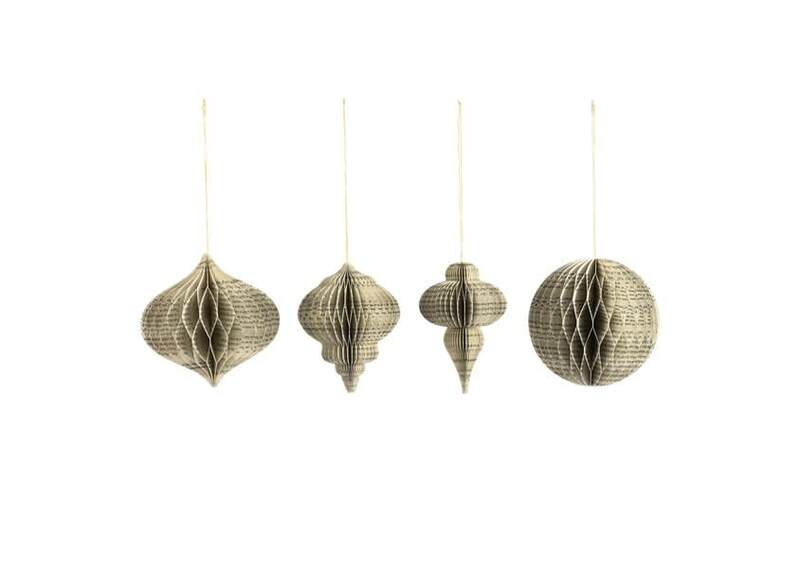 Handcrafted in book print paper the set of four decorations are each a different shape that is held open by strong small magnets. The Living Lounge in Canterbury, Kent, United Kingdom.